Word up! 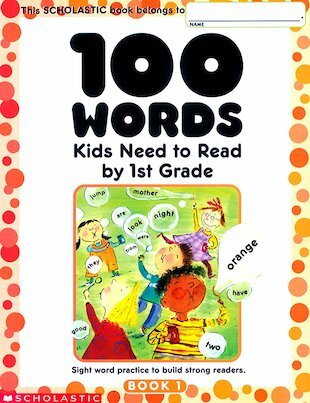 Build your confidence with 100 essential sight words so you can read almost anything instantly and easily. Know about sight words? They’re the often-used words you see everywhere you go. When you can recognise them on sight, reading and writing get much easier. Now this book brings you heaps of riddles, stories, puzzles and activities to help you master 100 important sight words for 1st grade. A perfect choice if you want to improve your English fast.